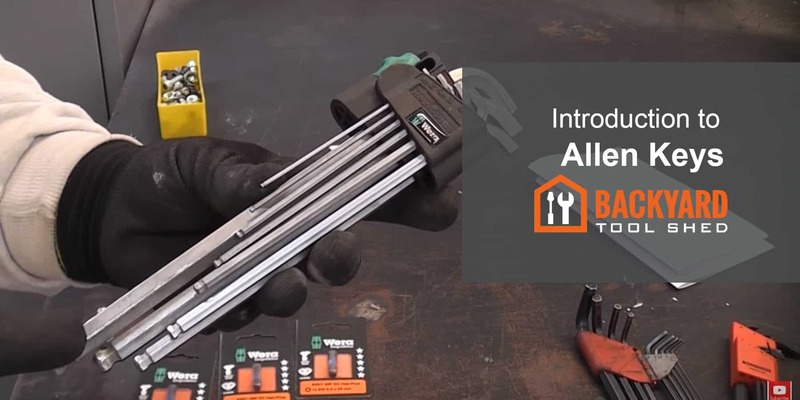 From the operator of a workshop, whether mechanical, wood or bicycle, to the DIY enthusiast who wants to assemble a piece of furniture purchased in a hypermarket, everyone has ever used Allen keys. However, we know that the keys were designed to rotate the multiple types of screws offered in the market. Therefore, Allen wrenches would not exist if the wide assortment offered by modern hardware did not include screws whose head contains an axial hole, which is called a hollow hexagonal head or Allen head. By their hollowing out, this type of screw cannot be turned with a standard spanner, but with a male wrench called, precisely, an Allen spanner. The appearance of Allen screws at the beginning of the 20th century is due to technical safety reasons given the need for pulleys and shafts of transmission lines. These are commonly used in factories at the time to have headless fastening screws which would be less likely to trap workers' clothes and, therefore, to cause accidents. Allen screws were first adopted by the tool and die manufacturers, and later extended to other areas involved in the manufacture of military aircraft, tanks, and submarines, civil aircraft, automobiles, motorcycles, bicycles, furniture, and others. The placement or removal of the Allen screws led to the invention of a small, light, economical and extremely simple design manual key since it consists of a hexagonal bar with an angled "L" shape. The exterior coincides with the distance between the opposite faces of the screw to be turned. The short side of the "L" fits perfectly into screws containing an internal hexagon, and the long side serves as a lever for turning. Today, Allen wrenches are manufactured in galvanized steel with or without nickel-plated chrome-vanadium alloy. These are available in various sizes (both metric and imperial sizes) determined by DIN 911, ISO 2936 and ANSI B18.3.2M standards, and their dimensions between opposite sides range from 0.9 mm to 36 mm. Larger sizes include keys whose total length varies from 20 to 35 cm and their weight from 1 to 5 kg. Allen wrenches are generally available individually or in sets that contain several pieces of various sizes, either with a short or long arm. These sets can be purchased on a key ring, in a case or box, or in a razor, as shown in the figure below. The knives feature a practical pocket and rubber body design, containing sets of 7 or 8 pieces, in both metric and imperial sizes. The advantage of the knife designs is that all the keys can be kept together without getting lost. Allen wrenches with ergonomic T-handle or vertical (like an ordinary screwdriver) are also available. These designs provide extremely comfortable handling, using full torque. Some manufacturers incorporate a hole in the handle to hang the tool and keep order in the workplace. The keys we will see below have a common characteristic with Allen keys, i.e., they are designed to turn screws whose head contains an axial hole. Therefore, we can consider them as variants of Allen keys, since they are manufactured with the same materials and marketed in the same shapes and presentations that we have just seen. These tools have at the tip a pseudo-sphere or hexagonal ball which is inserted easily and accurately into the inner profile of the screw, allowing it to turn with the key in off-axis position. This design is for places of difficult access and, depending on its size, the key can oscillate up to an angle of 30º concerning the axis. Allen wrenches with spherical or ballpoint are made of high alloy chrome vanadium steel which guarantees long life and very favorable torques. The Bristol screw, created by the Bristol Wrench Company features a grooved structure with four or six grooves which are not necessarily tamper-proof and are cut by a square corner broach, giving a slight cut slanted towards the outside corners of the wrench. The primary advantage of this is that almost all of the turning force is applied at right angles to the grooved face of the screw which reduces the possibility of the screw being "threaded through." For this reason, Bristol wrenches are often used in non-ferrous soft metals. Compared to an Allen wrench and for the same torque. Bristol wrenches are less prone to threading, but they are not much stronger than a Torx wrench. This type of key is commonly used in avionics, high-end communication equipment, cameras, air brakes and in construction, agricultural, defense and astronomy machinery. Variants with a center pin are often found in video game systems such as PlayStations, Xbox consoles and others. They are commonly found in automobiles, automated equipment, and computer components, as they are resistant to the cam-out effect (i.e., the screwdriver rod slips or slips undesirably from the screw) and are therefore suitable for use in the type of power tools used in production assembly lines. By their design, Torx head screws resist the cam-out effect better than the Phillips head or slotted head. While Phillips heads were designed to provoke the cam-out impact to avoid excessive tightening, Torx heads were designed to prevent it. The reason for this was the development of better industrial automatic screwdrivers that limit torque. Instead of waiting for the tool to slide off the screw head when a level of torque is reached which can damage the screwdriver tip, screw head and workpiece, the Torx wrench design consistently achieves a desired torque and, as stated by manufacturers. This design can extend the life of the tooltip by ten times. A circular bar instead of a hexagonal one. Both Bristol and Torx wrenches can also incorporate a ball in the tip for access to difficult locations.